Submit your headache or migraine questions to the National Headache Foundation for answers from experts. 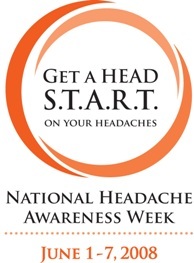 Selected questions will be answered during National Headache Awareness Week, June 1-7. Also, check to see if any headache awareness events will be held in your area.